This mechanised solder dispenser was built by design engineer Jude Pullen as an example of what could be done using ABS plastic sheeting, a broken brake cable from a bicycle, and some Sugru. The clever bit? The electrical connection to the switch is made via the solder itself and the outer windings of the brake cable. 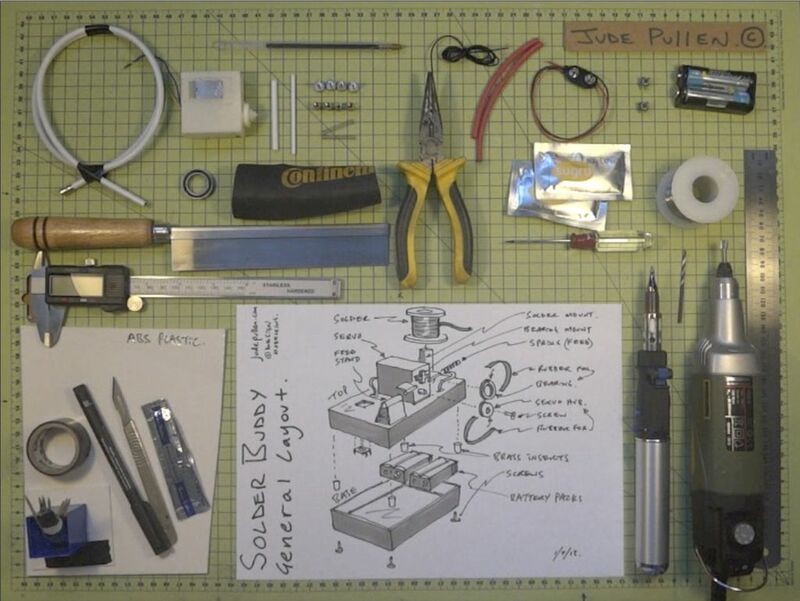 Everything you’ll need to build your own Solder Buddy. Along with other examples of how to use simple materials to prototype new ideas the Solder Buddy was exhibited a the Design Modelling Workshop in London earlier in the year. If you’re interested in building your own Solder Buddy, you can follow the Instructable.